Works by the Inkspots is included in this show, many of our members are also members of the Santa Barbara Printmakers! their work at the E.P. Foster Library. The exhibit will run from May 2nd through July 29th. and is open Mon.-Thurs. 10-8, Fri. & Sat. 10-5, and Sunday from 1-5pm. 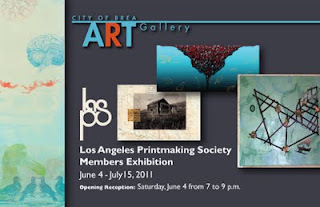 The City of Brea Art Gallery is pairing up with the LA Printmakers Society to co-sponsor an exhibition featuring fine art printmaking entries juried from LAPS’ members. 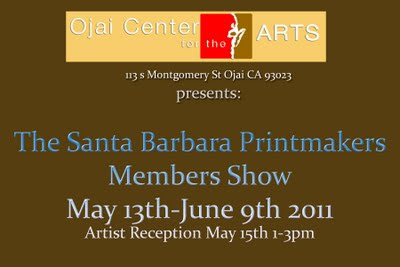 With over 500 members world wide, this exhibition is sure to feature an expansive number of print techniques include engravings, woodcuts, linocuts, etchings intaglio, embossments, serigraphs, lithographs, monoprints, aquatint and mezzotint. You won’t want to miss this exhibition highlighting some of the greatest contemporary printmakers in the world.